Things have their time, even eminence bows to timeliness. Things are done quickly enough if done well. If just quickly done they can be quickly undone. The truths that matter most to us come always half spoken. Cunning grows in deceit at seeing itself discovered, and tries to deceive with truth itself. There are rules to luck, not everything is chance for the wise; luck can be helped by skill. For the advice in a joke is sometimes more useful than the most serious teaching. Be first the master of yourself. There is no wilderness like a life without friends. 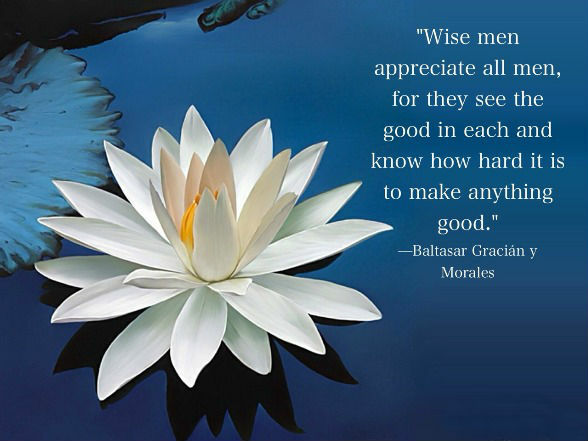 Wise men appreciate all men, for they see the good in each and know how hard it is to make anything good. One should cultivate good habits of memory, for it is capable of making existence a Paradise or an Inferno. 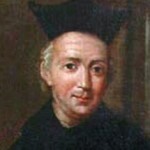 Baltasar Gracián y Morales, SJ was an Aragonese Jesuit and baroque prose writer. He was born in Belmonte, near Calatayud. His proto-existentialist writings were lauded by Nietzsche and Schopenhauer. The son of a doctor, in his childhood Gracián lived with his uncle, who was a priest. He studied at a Jesuit school in 1621 and 1623 and theology in Zaragoza. He was ordained in 1627 and took his final vows in 1635. In 1651, he published the first part of the Criticón without the permission of his superiors, whom he disobeyed repeatedly. This attracted the Society's displeasure. Ignoring the reprimands, he published the second part of Criticón in 1657, as a result was sanctioned and exiled to Graus at the beginning of 1658. Soon Gracian wrote to apply for membership in another religious order. His demand was not met, but his sanction was eased off: in April of 1658 he was sent to several minor positions under the College of Tarazona. His physical decline prevented him from attending the provincial congregation of Calatayud and on December 6, 1658, Gracian died in Tarazona, near Zaragoza in the Kingdom of Aragon. The Aragonese village where he was born, changed its name to Belmonte de Gracian in his honour.